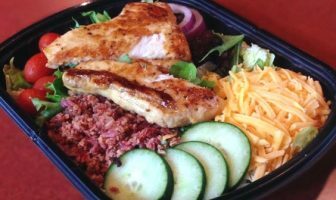 March 21, 2015 0 Calorie Counting vs. Calorie Quality – Which Type Do You Eat? This exercise guide contains instructional videos that cover several key exercises and workout routines that target important muscle groups. 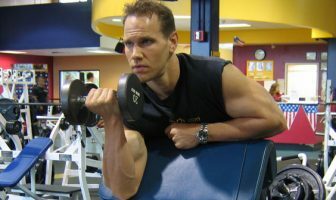 The individual exercise videos were developed to help teach you proper exercise technique so you can integrate them into weight training workout routines. The workout videos combine several different exercises to form a complete routine along with recommended sets and repetitions. 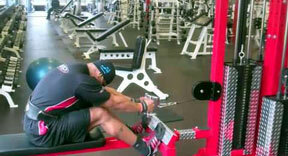 This will help you build lean muscle mass and increase your strength levels. 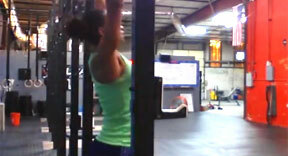 We have included details within each video to help you learn proper form and execution. 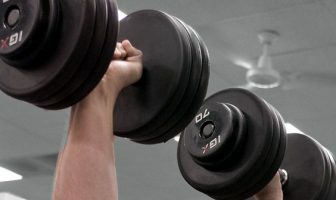 Since successful strength training is centered around proper technique, it is extremely important to execute these exercises with strict form and safety. Effective Exercises Using a Bench - These quick and effective exercises can be performed in the convenience of your own home by using just a bench and your own bodyweight. Learn key movements to target your upper and lower body muscles for an excellent bodyweight workout for toning and strength! Modified Handstand Pushups - If you've ever wanted to do handstand pushups but just didn't have the upper body strength to perform them, then these effective strength drills using plyometrics will target explosive strength in your chest, triceps and shoulders to help you reach your goals! Mobility Drills and Exercises - Mobility training is one of the most important things you can include into your workout routine to increase flexibility, stability and range of motion which are all extremely important when performing CrossFit workouts and other weight training exercises! Box Jump Exercise Guide Part 1 - The box jump is an excellent exercise that helps to strengthen your entire lower body while targeting your quadriceps, glutes, hamstrings, calves and hips but it's important to learn the basics of this movement by first starting with the step-up drill. Box Jump Exercise Guide Part 2 - In part 2 of the box jump exercise tutorial you will learn several key training tips to perform this explosive movement which is incredible for building strength and power in multiple muscles of the lower body which helps with CrossFit workouts and other sports. How To Do a Kettlebell Swing - If you've ever thought about adding kettlebell training into your workout regimen, you should because it's an excellent way to build functional strength and muscle mass. Shellane Demarest discusses the proper technique for the kettlebell swing! 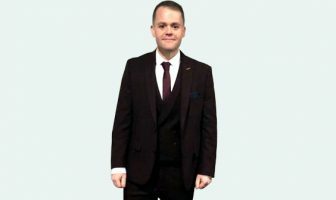 How To Deadlift - If you want to learn how to perform the king of all exercises to pack on slabs of lean muscle to your physique then you need to start doing the deadlift exercise! 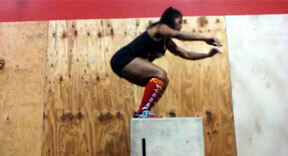 Shellane shares helpful tips and technical advice for this incredible exercise! How To Do Pull-Ups - The pull-up exercise is an awesome movement for building up strength and size in your back muscles and upper body but it can be a difficult if you are not experienced. 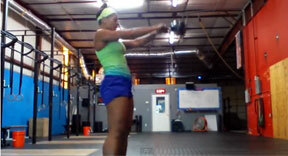 Learn how to execute it with Shellane's helpful exercise tips and recommendations! Home Bodyweight Workout - Laura London takes you through a home bodyweight workout consisting of 5 great exercises to tone and tighten your upper and lower body. This exercise program is perfect for anyone who needs a quick and convenient full body toning workout. Home Medicine Ball Ab Workout - Laura London takes you through a home medicine ball AB workout consisting of 5 great exercises to help tone and tighten your stomach. 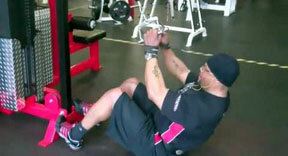 This exercise program is perfect for anyone who needs a quick and convenient abdominal workout! 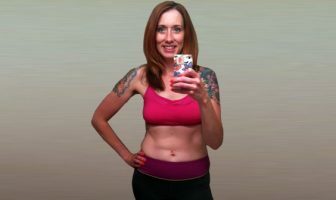 Full Body Home Workout - Laura London takes you through full body home workout consisting of 6 great exercises to help tone and tighten your whole body. This exercise program is perfect for anyone who needs a quick and convenient total body toning workout! High Intensity Leg Workout - Part 1 - This is a high intensity leg workout with 3 super intense muscle building exercises to make your quadriceps and hamstrings grow like crazy! This first set consists of leg extensions, hack squats and smith machine squats using several different training principles to stimulate muscle growth in your legs. High Intensity Leg Workout - Part 2 - This is a high intensity leg workout with 3 super intense muscle building exercises to make your quadriceps and hamstrings grow like crazy! This second set consists of stiff legged deadlifts, leg press and barbell lunges using several different training principles to stimulate muscle growth in your legs. HIIT Cardio - Stair Sprints & Jump Rope - This is a great fat burning HIIT cardio workout that will create an afterburn effect and burn serious calories in a short amount of time. This workout consists of running stair sprints and then jumping rope using high intensity interval training. 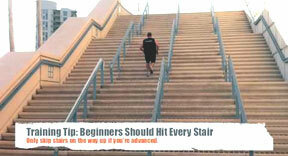 You will do 2-3 sets of stairs with 1 minute of jump rope. Shoot for 3-5 sets for a total workout time of 20-25 minutes. High Intensity Chest Workout - Part 1 - This high intensity chest workout takes you through a series of 3 different muscle building chest exercises in the first set of this intense workout so you can build big impressive pecs, pack on serious muscle and get huge! Part 1 of this workout only covers the first set, so make sure to checkout part 2 to get the complete training routine. High Intensity Chest Workout - Part 2 - Men - This high intensity chest workout takes the guys through a series of 3 different muscle building chest exercises in the second set of this intense workout so you can build big impressive pecs, pack on serious muscle and get huge! Part 2 of this workout only covers the second set, so make sure to checkout part 1 to get the complete training routine. High Intensity Chest Workout - Part 2 - Women - This high intensity chest workout takes the ladies through a series of 3 different muscle building chest exercises in the second set of this intense workout so you can build an impressive and well defined chest! Part 2 of this workout only covers the second set, so make sure to checkout part 1 to get the complete training routine. High Intensity Back Workout - Part 1 - This high intensity back workout takes you through a series of 3 different muscle building exercises in the first set of this intense workout so you can build big impressive lats, pack on serious muscle and get huge! Part 1 of this workout only covers the first set, so make sure to checkout part 2 to get the complete training routine. High Intensity Back Workout - Part 2 - This high intensity back workout takes you through a series of 3 different muscle building exercises in the second set of this intense workout so you can build big impressive lats, pack on serious muscle and get huge! Part 2 of this workout only covers the second set, so make sure to checkout part 1 to get the complete training routine. 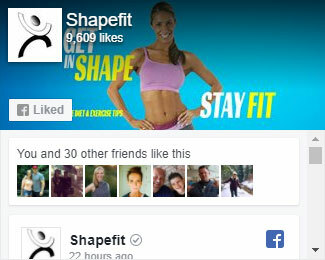 I’ve enjoyed reading some of the suggestions offered on ShapeFit. As always, I can’t wait to get into the gym tomorrow to try some of the training routines I’ve found on this website. Fitness for life!